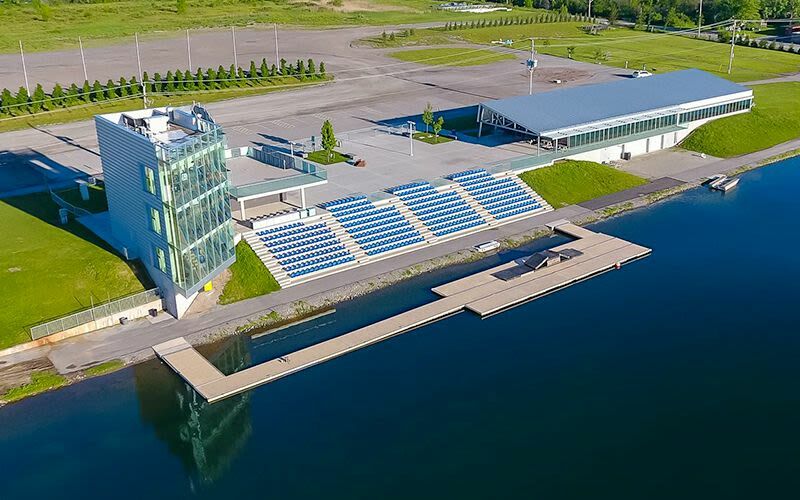 The Welland International Flatwater Centre (WIFC) combines international-standard competitive watersports facilities with recreational and social opportunities. 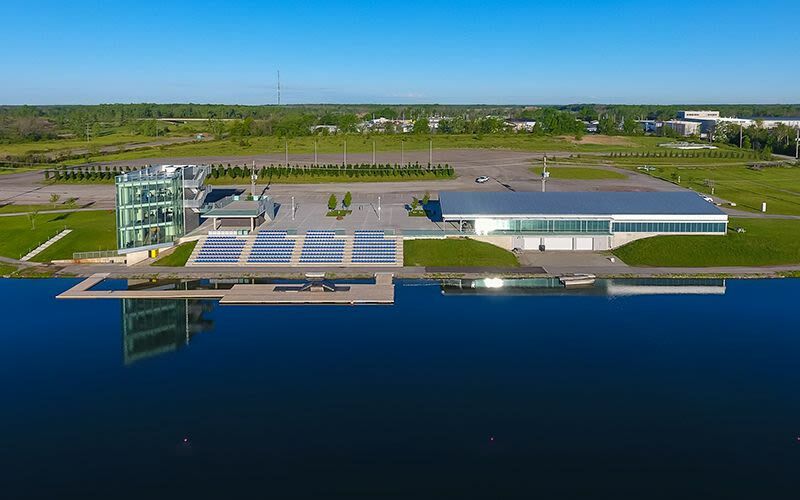 Set in 411 acres of parkland and 272 acres of water, the WIFC is a premiere flat water facility in the heart of the Niagara peninsula. The WIFC is the facility of choice for elite championships, with infrastructure exceeding current international standards for hosting and for accessibility. Equipped with a state-of-the-art indoor training tank outfitted for rowing, canoe, kayak and dragon boat training, athletes are able to train in the offseason while experiencing an on-water feel. The WIFC is building a sense of pride within the community and is bringing people together toward the achievement of common goals. 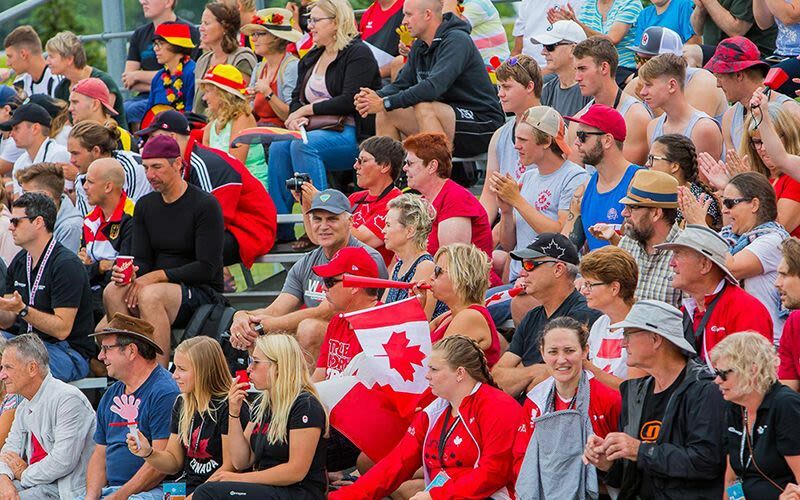 We are developing future Olympians through competition, training, and community spirit. Flatwater canoe racing (canoe sprint) is an extremely specialized sport. While kneeling, athletes only paddle on one side to maintain a straight course. A one-person racing canoe measures 5.2 m (17 ft.). Flatwater canoeing has been an Olympic sport since 1936. World championships are held annually. 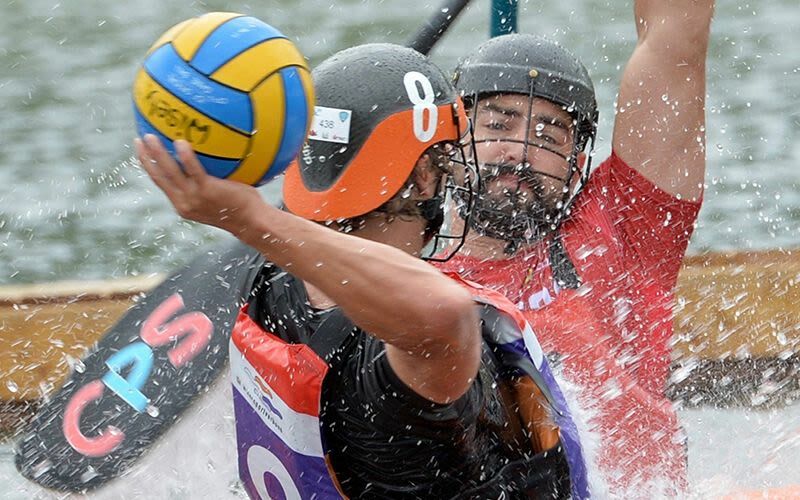 Canoe Polo is a spectacular team game, which combines elements of water polo, basketball and canoeing! The game is played by two teams of five players each, trying to score goals with a water polo ball in a net suspended above the water at each end of a "playing pitch". Canoe-polo athletes require strength and a wide range of paddling skills, including the "Eskimo roll". Flatwater kayak racing is an extremely fast sport requiring a good level of expertise. Racing kayaks (sprint boats) are lightweight and can be up to 6.2 m (20 ft.) in length. Flatwater kayaking has been an Olympic sport since 1936. The WIFC is an ICF sanctioned venue for kayak, with hosted events include K1, K2 and K4 races. Courses for men and women cover 200m, 500m, and 1000m. Sprints are primarily held on the North Course portion of the Centre. Since the formation of the IDBF in 1990, the sport has evolved into a popular festival for the supporting of charitable organizations. Traditionally, a crew of 22 (including a drummer) is required to race a 40 ft. boat adorned with a dragon’s head and tail. The WIFC is pleased to work with the Welland Dragon Boat Festival and its charitable hosts. This community event is a sprint over 500 meters and is held on the North Course of the WIFC. Rowing is a demanding endurance based sport requiring focus and discipline. Racing boats (sculls) are long and narrow with sliding seats and attached oars, carrying one, two, four or eight rowers. Men and women can compete in single, double and quadruple sculls. Regattas held at the WIFC vary from 500m to 2,000m, accommodating up to 6 designated lanes. They include all weight, age and skill divisions, including Adaptive, and are held on either the North or South Course of the Centre. The pace of these races are very fast right from the start. Swimmers jostle for position, then head for the buoys, where competitive swimmers use techniques and strategies to stay ahead of the pack. 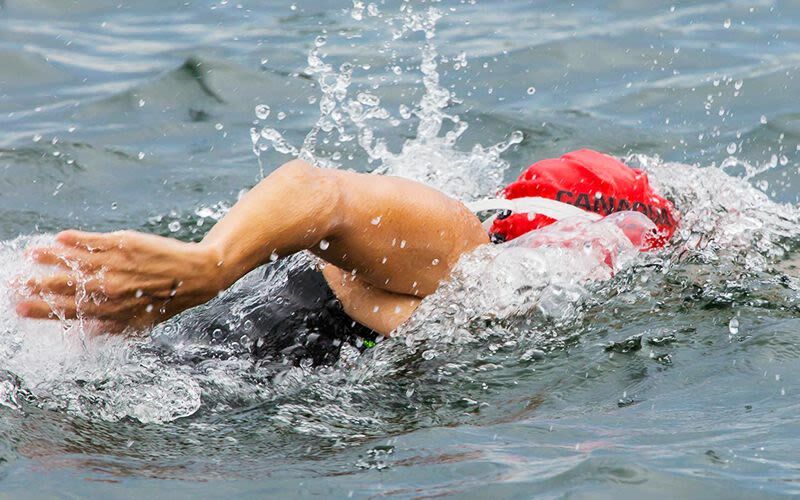 In a standard triathlon, the swim leg is 3.8km (2.4 miles), where marathon swimming is 10km or more. Many open water swimmers train for triathlons and Ironman competitions. A triathlon is a multi-sport endurance event that combines consecutive swimming, cycling and running races. Athletes must train and be in top condition to endure the gruelling challenge of races, such as The Ironman Triathlon. The sport made its début at the Olympics in 2000 and comprised of a 1500m swim, 40km bike and 10km run. Today, thousands of events are held annually worldwide. A game of Water Polo consists of 4 quarters, with two teams attempting to throw the ball into their opponent’s goal. Each team consists of 6 field players and one goalkeeper, where field players can only use one hand and the goaltender can use both. Water Polo is a contact sport, with the objective being to score more goals than your opponent. The game is traditionally played in deep water but can be played in any type of pool or form of open water.